This time of year I fluctuate between wanting to never see another ear of corn again to wanting to eat as much as possible before the roadside stands switch over their stock to pumpkins (which will happen before you know it! ).To take a break from the usual butter and salt routine, I’ve made this version of corn on the cob a few times this summer. 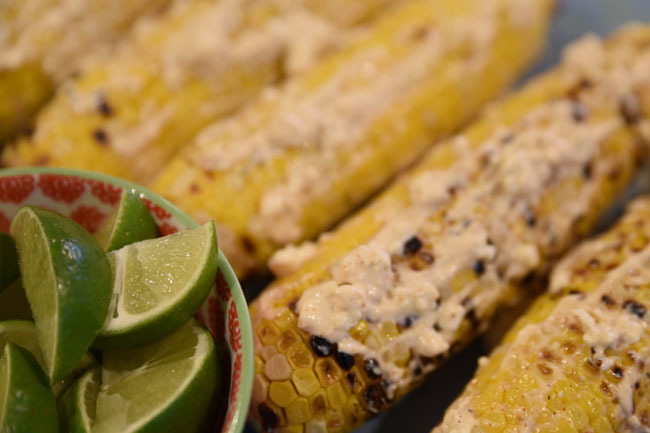 There are several ways to make this traditional Mexican dish, but I liked this recipe for the simplicity – mix together and slater on grilled corn!